Build on Your Lot and choose from a wide selection of floor plans and take advantage of the Texas Homes Design Center to assist you in making design selections that will make your new home a perfect reflection of your lifestyle. Experience - Texas Homes has built over 6,000 homes in San Antonio and the surrounding area. Steve Coker has over 25 years of tenure with Texas Homes and has been heading up the Build on Your Lot Program since its inception in 1989. Steve has the experience to help you whether you are building on an acreage lot or a city lot. 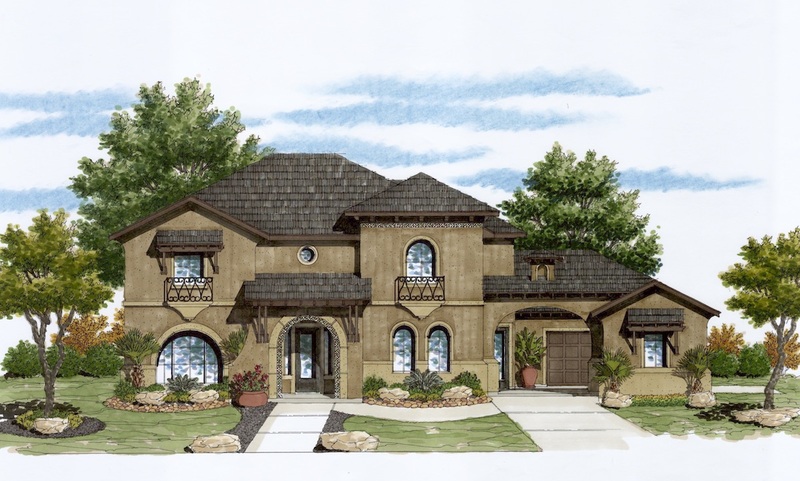 Choice - Choose from a wide selection of contemporary and Texas Hill Country floor plans. Plan options that allow you to add bedrooms or repurpose a room. We also offer plans with Casitas for multi-generational families, guest house or maids quarters. Visit our design professionals at the Texas Homes Design Center to assist you in color, appliances and interior design selections that will make your new home a perfect reflection of your lifestyle. Quality - Texas Homes takes pride in using only quality materials to build strong, beautiful homes that last. Our volume purchasing power allows us to provide this outstanding quality at affordable prices. Customer Service - The experienced professionals at Texas Homes make building a new home on your homesite easy. We are there to assist you throughout the entire process. Customer satisfaction is our highest priority.